Use lines to organize, add structure, or visually separate your email content. 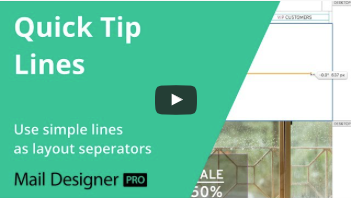 Check out our tutorial on how to arrange your email content using lines. With Mail Designer 365, you have a variety of choices for patterns and textures within the library. 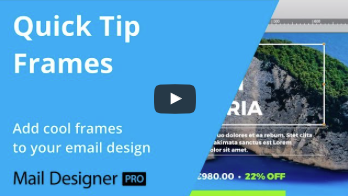 Watch our tips on how to use patterns and textures in your next email. 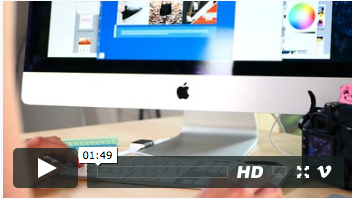 Use a video placeholder or customize your own preview picture. 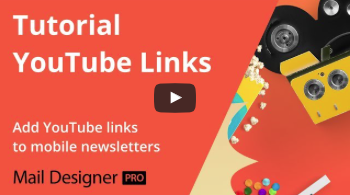 In this tutorial, learn how to optimize your videos for mobile users in your email templates. Mail Designer 365 makes it easier to create your own borders and frames. Customize your graphic elements and create different frame effects for your mail design needs! Get creative with animated GIFs! 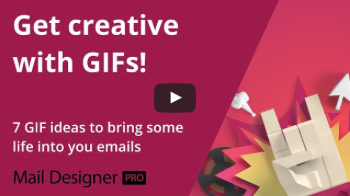 Take your email newsletters to the next level with funny, fetching, and fascinating GIFs! Follow our fun tips and summon your artistic side! Color gradients help add depth and contrast to your email design. 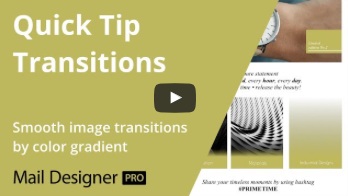 Try our tips and get creative with your color transitions in your next email design! 7 glorious Google fonts to try! Boost your email newsletter style with our 7 favorite fonts! 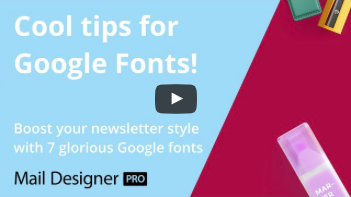 Check out which bold fonts work well with your email newsletter designs. Design email newsletters on your Mac for desktop displays, the latest smartphones, and the Apple Watch. 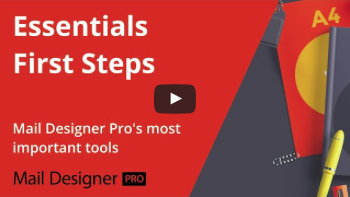 Here’s a summary of Mail Designer 365’s most important tools! 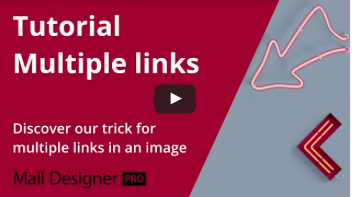 When you create email templates, you may have wondered how can I make multiple links on a single image? Mail Designer 365 has a simple solution for you. Your email designs deserve the highest quality, so Mail Designer 365 offers pixel-precise perfection in brilliant retina resolution. Release your creativity today!